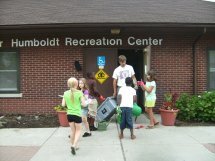 North Winton Village Association (NWVA) partnered with the City of Rochester Recreation and Youth Services to start a program called North Winton Village Healthy Summer in the summer of 2011. Under the supervision of Andy Rose at the Humboldt Recreation Center on Atlantic Avenue, and with the cooperation and advice of the NWVA, we created this project to promote a healthy lifestyle. The result would promote healthy eating and good exercise habits for a lifetime. 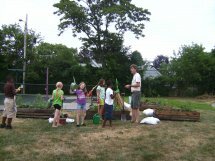 The project taught our neighborhood children to grow, eat and cook with food and herbs they produced in the five raised banks at the Humboldt Rec Center and at the three raised beds at the Linear Gardens. There was daily exercise and hands-on learning about growing vegetables and herbs under the supervision of Mr. Rose and the City of Rochester Horticulturist, Micheal Warren Thomas. Miss Jessica Mathews at the Humboldt Recreation Center was also very helpful with the project, assisting with the watering, planting, and harvesting on a daily basis. An AmeriCorps assistant, Ms. Dana Hilfinger, also helped with the project. The children really related to the young persons helping with the project. There were 20 children attending every day, ages 6-12. The children also walked to the Linear Gardens and planted herbs in the three raised beds there. The Girls Scouts also gave instructions on nutrition to the children each week and brought a healthy snack for the children to enjoy. What a rewarding summer for our neighborhood children. 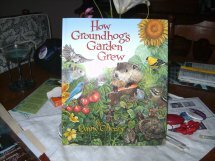 They planted, they weeded, they harvested, and they cooked in the summer of 2011. They took pride in the food they produced and learned healthy habits that will last a lifetime. Our plan for 2012 is to increase the number of children involved and to also have more activities for the children to enjoy and learn from. The Main Street Revitalization Grant was awarded by the State of New York in 2009. This was a $200,000 two year grant from the NYS Division of Housing and Office of Community Renewal. The funds were to be used as follows: $175,000 for 50/50 Matching Funds for businesses for façade work and building renovation, and $25,000 Streetscape Funds. The Target area is East Main Street from Hall Street to Minnesota Street. 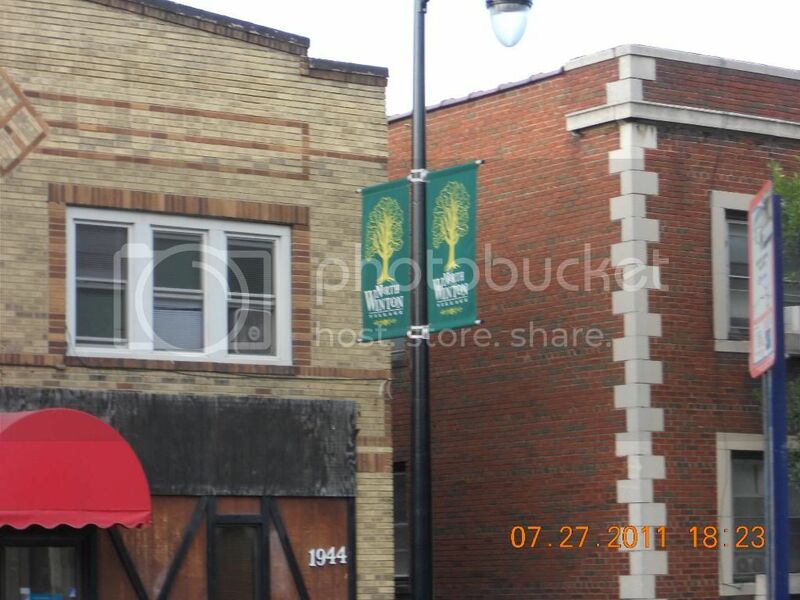 Rochester’s Department of Neighborhood and Economic Development also contributed funds to each participating business for exterior work such as awnings, lighting and landscaping. Pathstone is the organization that NWVA secured to assist the businesses in working with the state in fulfilling this grant. We needed their expertise, as there are many guidelines to follow. Our East Main Street businesses are very much inspired to improve the neighborhood, and NWVA thanks the businesses for willing to invest their own money along with the matching state funds. A special assessment was created by NWV business property owners to pay for electricity. A second grant has been applied for, and Pathstone is handling this for the NWVA. A couple of the recipients are still working on fulfilling their obligations to receive the grant monies. Received $2000 grant from Rochester Area Community Foundation for support of the 5th year North Winton Arts Festival, to be held September 30th and October 1st, 2011. If you wish additional information about any of these grants, please call either Marilyn Parchus at 224-9766 or Marilyn Schutte at 482-2898 or 461-6324, or email us.